Is everyone nice and relaxed after a long weekend!? I sure am! 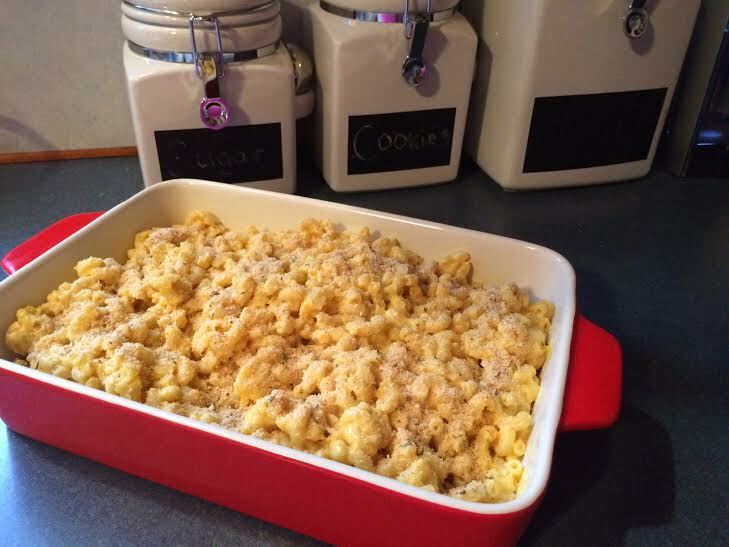 This past weekend, I made some delicious, homemade macaroni and cheese for the Patriots Game and my Husbands Birthday, so today I am sharing it with you! My mom has always made this recipe and I finally got around to asking her how it's made. Cook Macaroni as directed on the box. 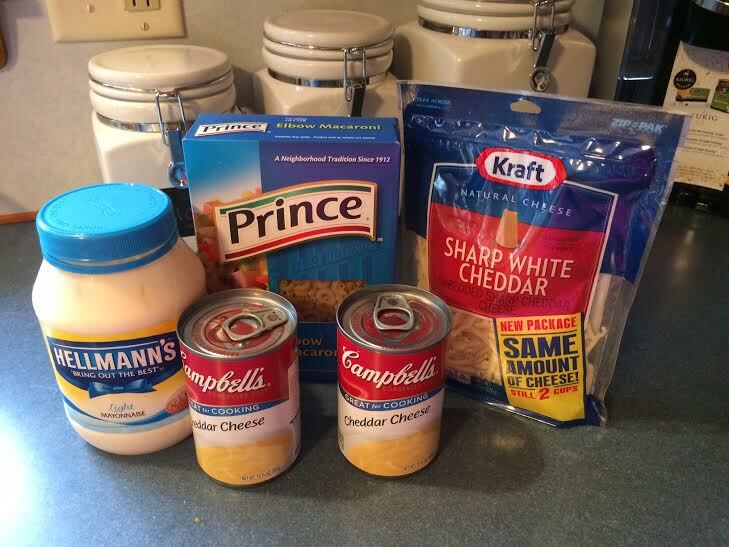 Once Macaroni is cooked, place in a bowl and mix cheddar cheese, white cheddar cheese and mayo into the macaroni. Once everything has been stirred well, you can place the macaroni into a greased 8 by 11 pan. 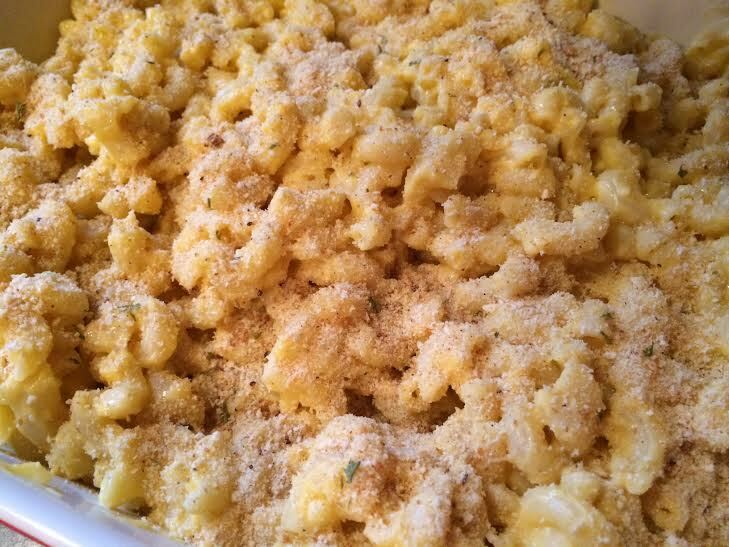 Sprinkle breadcrumbs on top of the macaroni. Place foil over the macaroni and bake for 20-25 minutes. Once cooled, serve and enjoy! 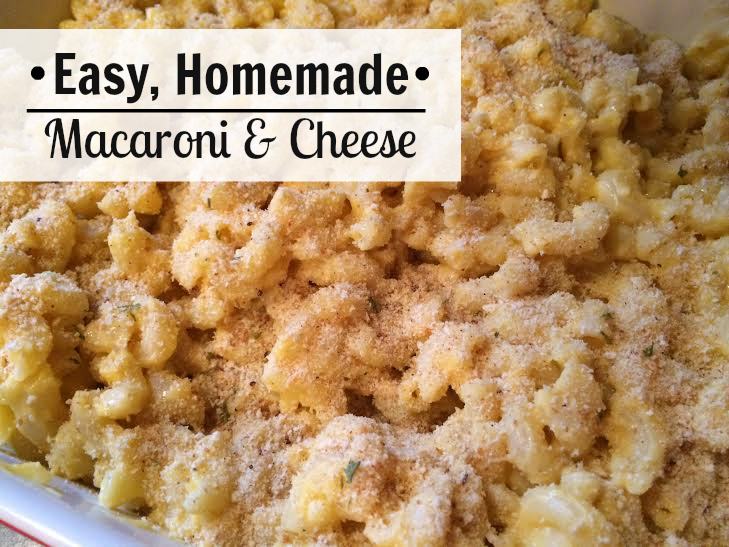 Is there anything better than some homemade Macaroni and Cheese during a Football Game!? I've been looking for a new mac and cheese recipe! This is EXCELLENT! Can't wait to give it a try. Its delicious and super easy! Homemade mac & cheese is so amazing! 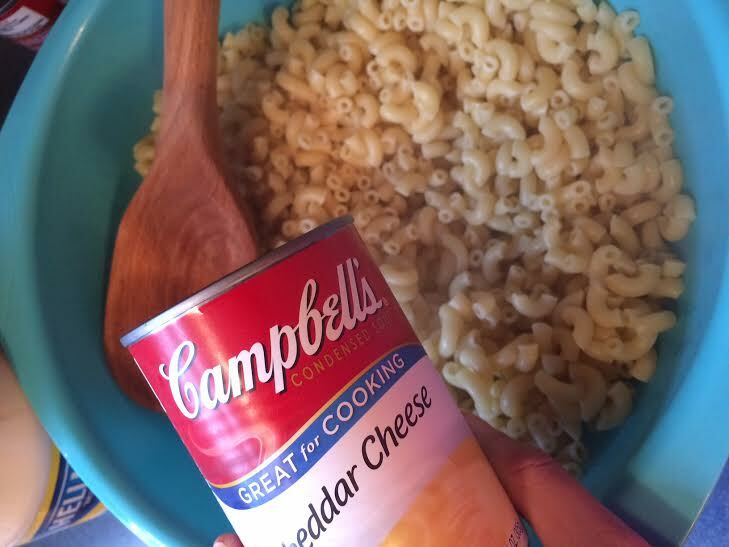 I love how easy your recipe seems, and a game day is the perfect time to chow down on some mac & cheese!